According to the Centers for Disease Control and Prevention, the Native community had the fifth highest rate of HIV diagnoses in the U.S. in 2015 -- higher than both Asian and white communities. Furthermore, gay and bisexual men accounted for 79 percent of HIV diagnoses among Native individuals. 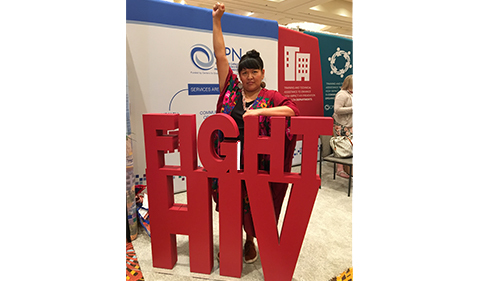 In addition to her work at Planned Parenthood, Jones is a part of the Southwest Indigenous Initiative, an Indigenous community action group that works on HIV prevention within Indigenous communities. Planned Parenthood provides vital medical services to many in the LGBTQ community -- including routine examinations, prenatal care, cancer screenings, HIV and STI testing, and contraceptive services, among other reproductive health care services. Planned Parenthood is also one of the country's largest providers of health care to transgender people.